Come in, settle down, talk about whatever you want, or join me in my “I have no costume!” freakout. So, what are you guys striking a pose in this Halloween? I’ve spend a lot of today looking at cosplays and tutorials looking for inspiration. No go, as of yet. My backup costume is probably Cruella de Vil, which I can throw together fairly easily - just need some red gloves and some white hair spray. I’m just looking for something I care more about. 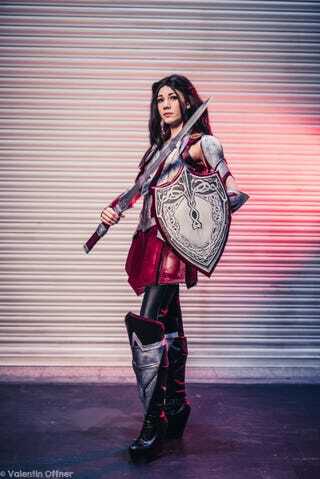 But I didsee this absolutely amazing Lady Sif cosplay by Hildrhien- complete with fantastic tutorial. So much respect for all the people doing this on a regular basis.